Last month at a linguistics conference in Yangon, experts called for multilingual education to be made a priority. Here at SDC, we would like to provide our supporters with some background of the history of our Karenni language. The Karenni language has a long history as a spoken language. It is known by many names. It can be called Western Red Karen, Karenni or KayahLi. Kayah refers to the largest ethnic group in Karenni State as well as the language. This language is part of the Tibeto-Burman linguistic family. This is the native tongue of the majority of people in Karenni Refugee Camp 1. It is estimated that there are over 100,000 speakers of KayahLi. The language is spoken in Mae Hong Son province of Thailand and Kayah State, Burma. Many Kayah speakers are now dispersed across a number of countries including Australia, New Zealand, Finland and The U.S.A. There are three different alphabets for KayahLi. The first two are based on Burmese and Latin, respectively. The third is newer and was developed by the Karenni leader Khu Htae Bu Phae in the 1950s. This script is called either KayahLi of Kyal Pho Gyi. It is now taught in the refugee camps. Up until 2014, the KayahLi script was not taught in schools within Karenni State. This was part of a policy of discrimination by the Burmese military regime. On September 8th 2014, the state assembly in Loikaw made a decision to allow the language to be taught in schools. 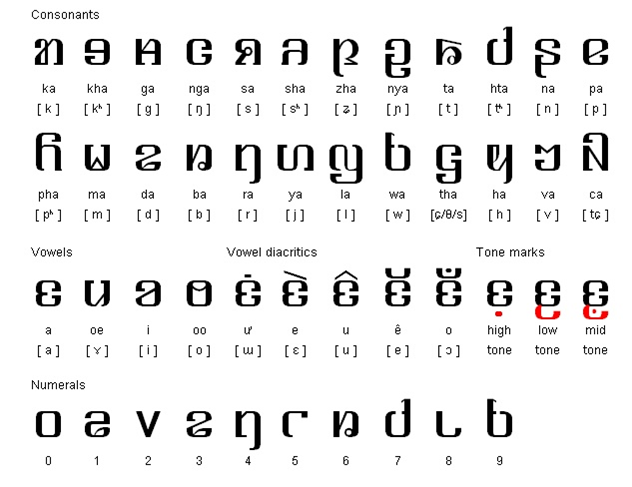 The KayahLi script can now be studied inside Karenni State in addition to the Kayan (Padaung) language. The Karenni Literacy Center is an organisation that is trying to increase knowledge of the Karenni script and widespread understanding amongst Karenni people of their literacy heritage. We hope that as Karenni People, we will be able to preserve our rich cultural and linguistic heritage long into the future. This entry was posted in News and tagged karenni language, Karenni Literacy, Kayahli, Kyal Pho Gyi. Bookmark the permalink.